Horabagrus brachysoma common name golden spotted catfish, or sun catfish. These can grow up to 46 cm / 18 inches fully grown. They are best kept in water parameters 6.5-7.6 and temperatures of 21-26 Celcius / 70-79 °F. Because of how big the golden spotted catfish get, it is best to mix these fish with bigger size fish. They are not really an aggressive fish but if they can fit fish in there mouths, they will eat them not a problem. They can mix on there own or in pairs. But they do like to hide so giving them caves and places to hide is good to keep them happy. The golden spotted catfish are a bottom dwelling and feeding fish, so they will need sinking food, like catfish pellets, and granular food. They do like meat in there diet so frozen or live foods are good to feed them. They are nocturnal like most cat fish, so are more lively when the lights are out. 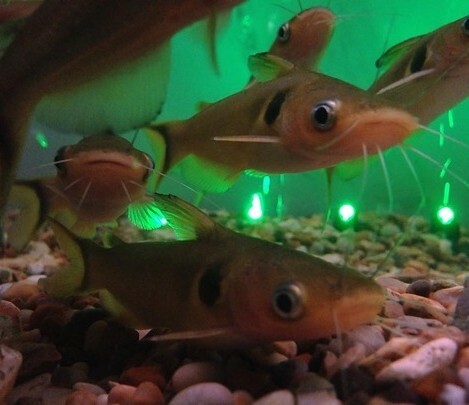 Some people feed them when they switch the lights off, but as they do like to hide most people feed them when the lights are on so they can actually see the golden spotted catfish and watch them feed. 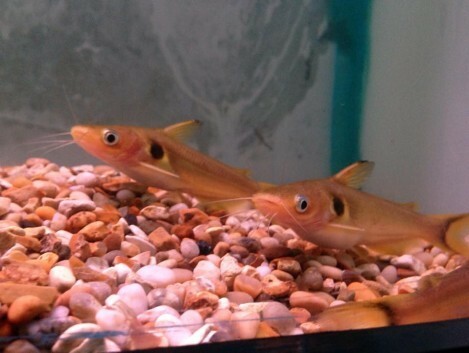 Golden spotted catfish are bottom feeding fish. The food needs to sink to the bottom of the tank for them to feed. They will also need frozen and live foods as they do require meat in there diets. Feeding them once a day is more than enough.